This newly renovated home has very clean lines with rich textures. A print previously framed with a very heavy frame and dark mat no longer worked. It was also too big for the new space. 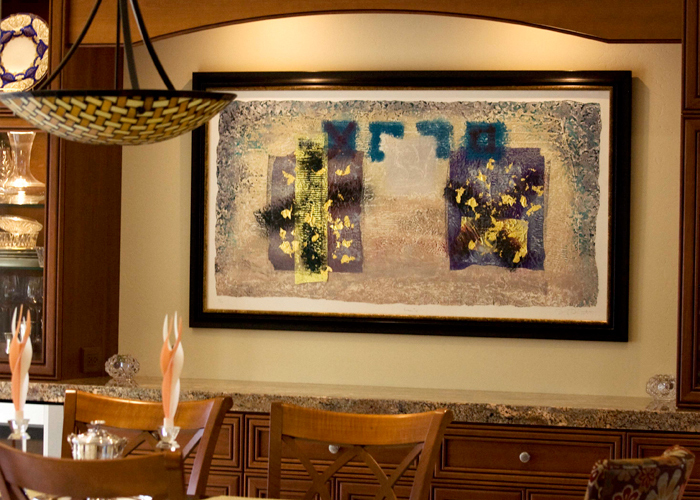 First, we found a frame that worked with both the art and the interior. Since the art had so much going on and its own space around the design, a mat was not needed. Frame only with a spacer and a anti-reflective, UV protected glass to avoid glare and protection from the sun.